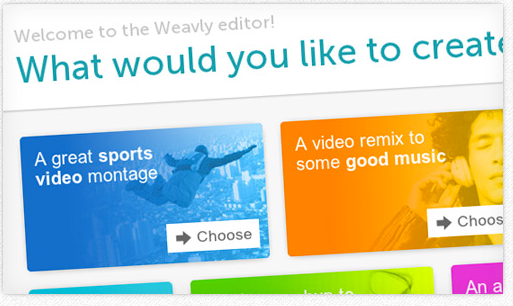 Weavly EDU is a very good web tool that students can use to create video mash-ups. These mash-ups could include both audio and video clips taken from popular multimedia sites such as YouTube, SoundCloud, and Vine. 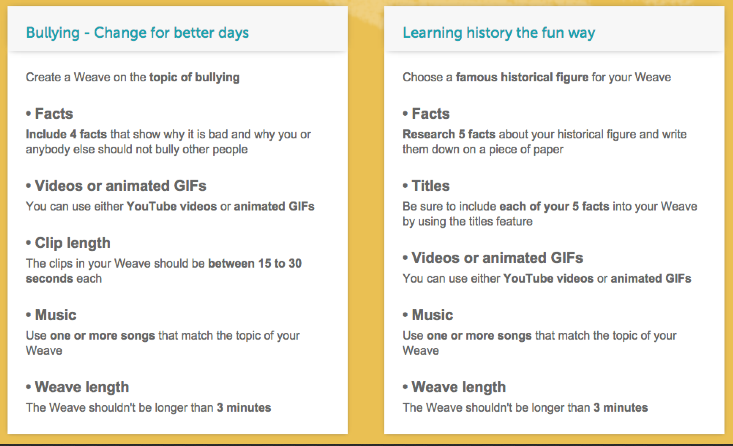 All of this can be done without leaving your Weavly page. Some of the interesting features that Weavly EDU provides for teachers include : students don’t have to sign up they can get started right away. Also, Teachers can Group and monitor students' activity during video editing assignments. Weavely EDU runs directly in the browser with media content that is already online, no downloads or uploads necessary. There are different ways students can use this platform. They can for instance use it to create year-in review videos where they feature important events, activities…etc. They can also use it in digital storytelling. They can easily create multimedia stories using not only video content but also animated GIFs.